Here at Holiday Dance Studio, we teach all partnership dances as well as belly dance. Private and group lessons are available for beginning, intermediate and advanced levels in social dance, performance, and competitive dance. Let us help you spice up weddings, cruises, or holidays abroad and learn to dance! 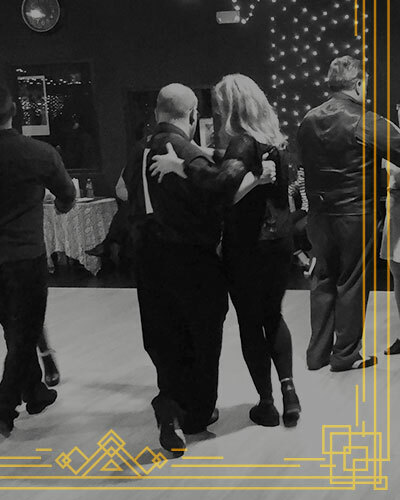 Holiday Dance Studio not only provides dance instruction, we also provide a place to dance every Friday night for couples and singles in a welcoming and elegant environment with our three beautiful floating dance floors. At Holiday Dance Studio, our goal is to provide our members with the skills to dance to any music, anywhere, with anyone while having a roaring good time. *Look for new Saturday hours and new Saturday group classes! *Holiday Dance is officially affiliated with TC Dance Clubs International!